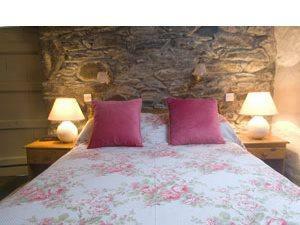 A spacious double bedroom with ensuite bathroom and shower in the converted granary, which was built around 1800. Lofty with exposed timbers of pine. Sofa, TV, beverage facilities etc. Own private access. Dinner +£25 per person per night.